Executive Development. Organizational Effectiveness. TransCultural Leadership. Rick has been working in the organizational development industry since 1988. He's the founder and President of Morales Associates which he began in 1995. You can read more about his work here. In his various work with multi-cultural leaders, Rick has co-developed a highly regarded program for Latino professionals linking multi-world dynamics with issues of power, change and identity in enterprise settings, as well as developing executive coaching protocols. He has been a visiting professor in leadership simulations at the Pratt Institute in New York, adjunct faculty at the University of San Diego Global Business Strategy Program, and serves on the Advisory Board of the Trans-Border Institute at the Joan B. Kroc School of Peace Studies at the University of San Diego. Rick has presented to numerous audiences on the topics of leadership development, organizational dynamics and strategic diversity. He has been a juried speaker at national conferences of the Human Resource Planning Society, the Society for Human Resource Management, the Organizational Development Network, the American Sociological Association and the National Council for La Raza. Rick has also served as a certified examiner for the California Quality Awards Program, using Malcolm Baldridge Quality Award criteria for excellence. Rick holds Masters and Doctorate degrees in Sociology from the University of California, Berkeley. He also completed post-doctoral research on international labor markets and trans-border development at the Center for U.S. Mexican Studies, University of California, San Diego. 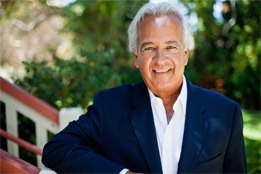 Rick has served as adjunct faculty at San Diego State University and the University of California, San Diego. He was previously on faculty at the Center for Creative Leadership for seven years where he facilitated core offerings in leader development, and served as executive coach to hundreds of clients.